Are Metal Fillings Dangerous? | Benjamin S. Fiss, D.D.S. There has been an ongoing discussion over the recent years about whether or not metal fillings are dangerous to your health and if they should be removed from your mouth immediately. For many years, metal fillings were the only option dentists had to fill cavities caused by dental decay. These metal fillings are known as amalgam fillings, and they are made from a combination of silver, tin, copper, and mercury. It is the presence of mercury that sounds the alarm for many individuals, and as mercury makes up almost half of the filling material and the substance used to bind the material, this is an understandable fear. Mercury, in high levels, is known to cause severe damage to the brain and kidneys, and it is for this reason that many people are rushing to their dentists to remove all metal fillings. But before you panic and jump into the dentist’s chair, it is essential to understand that while logic connects the two, there is no scientific evidence directly linking amalgam fillings to mercury poisoning. The FDA has ultimately cleared metal amalgam fillings for safe use since the dangers only come when individuals are exposed to higher amounts of mercury than what is found in dental fillings. Even though there is no definitive evidence, and the FDA has cleared them as safe, many patients are still choosing to steer away from metal fillings. And why is this? The answer is quite simple. Metal fillings look like metal. They are not natural looking in any way. And through improvements in cosmetic dentistry, dentists can now combine functionality and lasting strength with aesthetic appeal. Dr. Fiss offers his patients IPS Empress fillings, a metal-free option that looks identical to a natural tooth. IPS Empress fillings are made of high-quality glass and ceramic. These tooth-colored materials blend in with your mouth seamlessly and can rival the strength, reliability, and lasting quality of metal fillings. This material is available for inlays, onlays, veneers, crowns, and bridges to provide you with a beautiful, natural smile that has the durability and strength to handle any amount of wear and tear. If you would prefer not to have traces of mercury in your mouth or suffer from metal-related allergies, or you are looking for an aesthetically pleasing alternative, IPS Empress fillings are a good option for your dental needs. 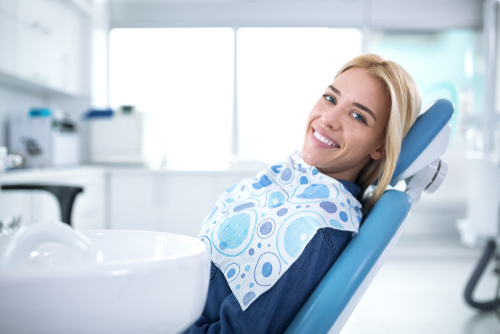 To learn more about IPS Empress fillings, or to set up a consultation with Dr. Fiss, contact our office by calling (312) 951-5230 or by filling out our online contact form.